Zenith, the famed LVMH-owned Swiss brand, is leaping into the modern era trying to gain traction in the luxury watch market. Zenith has the first online-only, limited edition, for US customers only watch. 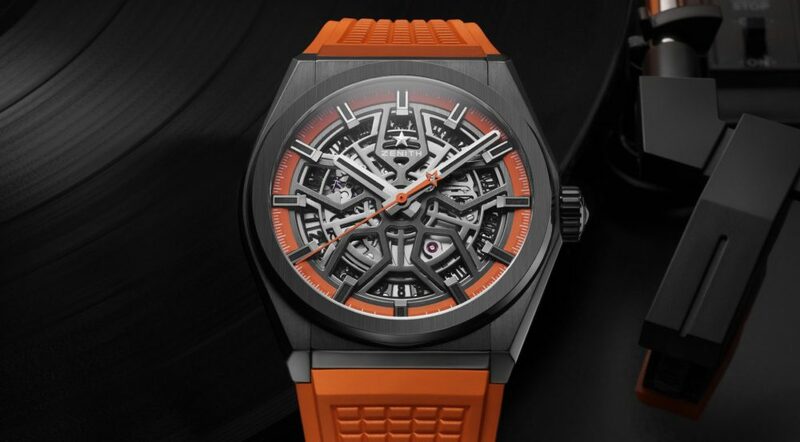 To launch the new timepiece they have collaborated with Grammy-winning record producer, rapper and DJ Swizz Beatz, whom Kanye West called “the best rap producer of all time.” Only 250 pieces of the Defy Classic Swizz Beatz edition will be made priced at $7,900 each. Aside from other models by Zenith, the Swizz Beatz Limited Edition watch is sure to garner significant attention in the music industry. The brand’s Defy watches use a “revolutionary” monolithic silicon oscillator replacing the classic Swiss anchor, hairspring and balance wheel to form a new kind of automatic movement. The Defy Classic Swizz Beatz edition features a stealthy black ceramic case and a blackened skeleton dial, setting it apart from other Defy Classic models which represent entry-level offerings in the Defy range. Contrasting with the menacing case and dial is a bright orange flange ring and matching central seconds hand, as well an orange textured rubber strap and a rubber-backed black alligator strap with orange stitching included in the price. And in a nod to Swizz’s skills the set comes in a special box that actually doubles as a functional turntable capable of playing 10” vinyl records – certainly an industry first. It also features quotes from Swizz, reading “Life begins at the end of your comfort zone. Confidence + Positivity = Longevity.” At Art Basel Miami, Zenith and Haute Living magazine hosted a dinner with Swizz Beatz to kick off the event and introduce the watch, which also served as the official launch of Zenith’s e-commerce platform in the U.S. The man surely has an impressive watch collection but confined himself to wearing a Zenith for the duration of the evening.